As well as the internal and external challenges, there are myriad pressures when you are just starting to run your business. Some may not admit the harsh impact of operating in a globalizing world where the dynamics shift and expand relentlessly. To some, the consequences include inability to do all business processes well at the expense of their core competencies. For both doing what they do best and meeting service level required by customers, outsourcing has become a boon for many smaller to larger-sized enterprises. But outsourcing is complex. From learning the ropes how to outsource, looking for the right solution and to finding the best one out of the multitude of solutions vendor courting your business are all daunting tasks. Hence, you will need to give your head and heart in your search for the right outsourcing company. The selection must be strategically fit with your present and future road to success that will benefit your customers as well. Here are some considerations or steps that you can take to ensure the right decision in your outsourcing company partner. The first step is identifying whether or not it is outsourcing that you need. Quite tricky to some but if you are sure about the tasks and processes you need outsourced, you are in the right direction. After defining your needs – be it transcriptions, data encoding, payroll processing, and the likes – then what’s next for you is digging the specifics for each of the business functions that you want outsourced. It also helps to identify your goals or objectives for outsourcing. Upon starting talks with vendors, let them know how you want the business functions done, what you expect to see when the results are submitted, how much your budget and the amount you are willing pay, as well as turnover time and all other important details of your outsourcing agreement. Following the first step is coming up with your list of functions to outsource. Having this step taken will help you cut the chase in finding for prospective outsourcing providers quickly and wasting valuable time of vendors who cannot offer what you need in the exact same way you need them. Then around this stage how to outsource, you should be able to pare down to four or five your vendor candidates. If you would like to be sure of your choice, request for demonstrations, and if possible, talk to existing client and ask for references. This is also the stage when you should already be speaking and asking questions directly to executives and not merely salespeople from the firm. Organize a special team who will conduct the evaluation of the outsourcing company and then let this team represent your company during negotiation. Once you have selected three or four solutions providers, prepare a plan for RFI or request for information. An RFI is a standard procedure that client firms request from the outsourcing company to gather basic and essential information. Critical information for the project development such as availability of technology and resources, cost estimation, project implementation challenges are what typically comprise an RFI document. Remember that the RFI must complement your RFP or request for proposal, which is a document that exhaustively list the details of your company objectives, profiles of providers, employee information, vendor approach and approaches to work, and their infrastructure to ensure the successful implementation of the outsourcing agreement. What you have in your RFI comprises the segments relative to solving the client partner’s needs. Only after your shortlisted outsourcing providers have submitted the RFP, you can begin you evaluation. Closely and carefully evaluate the solutions providers who pre-selected for the outsourcing project. Now, with all important and essential information in your hands, make your decision. Choose the outsourcing company that comes closely compatible with your outsourcing objectives. Then sign a contract. As the client company, keep in mind that the success of your partnership with the right outsourcing company hinges on the successful implementation of your outsourcing project without problems. After the rigorous and long selection process, watch out for another cycle of hard work to make the agreement work for both you and your outsourcing company. The next step in our how to outsource list is for you is to follow through and ensure that the arrangement runs smoothly as planned. Communicate well with all the parties involved in ensuring the successful transition of such outsourcing arrangement. Internal staff may initially feel threatened by the participation of a third party so they must be well-informed that this is a decision that needs their support and cooperation for the integration to materialize successfully. The Philippines is an undeniable favorite outsourcing hotspot, taking the crown from former BPO darlings like India and China. Foreign investors and companies leverage the perks and infrastructures that support outsourcing in the Philippines. From small businesses to big established brands from the United States, Europe and Australia in almost all major industries, the Philippines is an obvious choice for the cheap labor and quality. The leaps and bounds of the business processing outsourcing sector in the country were made possible through the help of massive government support. Nonetheless, other inherent assets of the Philippines are contributing to the boom. US or Australian-based companies leverage outsourcing in the Philippines for its people primarily. The Philippines boast of a generally-English speaking population, Westernized culture, high regard for education, and Filipinos’ resilient, hardworking and passionate behavior. There is no simple and short-cut rule how to outsource your business functions with a third party vendor. Reaping success out of your outsourcing journey does not depend on your investment budget. One critical factor is getting the right solutions provider to perform the tasks and work for you. Follow the steps mentioned above to help you find the right outsourcing company and follow through until the achievement of your outsourcing objectives. And by outsourcing in the Philippines and finding a suitable company there might offer you a lot more than you desired for. 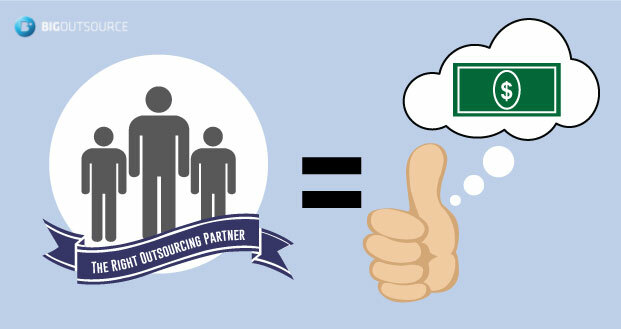 Is Your BPO Partner Committed to Ethical Outsourcing Practices? © 2019 Big Outsource. All rights reserved.